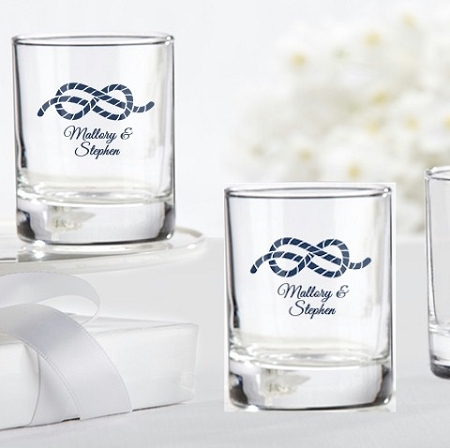 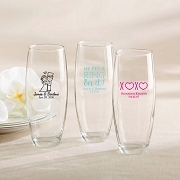 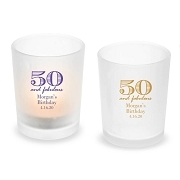 Let our personalized shot glasses with nautical rope design capture the seafaring feel for you on your wedding day. 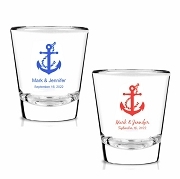 Set the course for your mates by decking the venue in these must-have pieces of nautical flair, or let guests take them home as special favors. 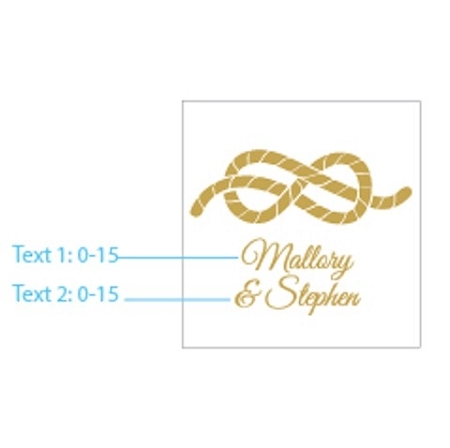 Just add your names or initials to the navy anchor and the gold knot designs and they're yours.